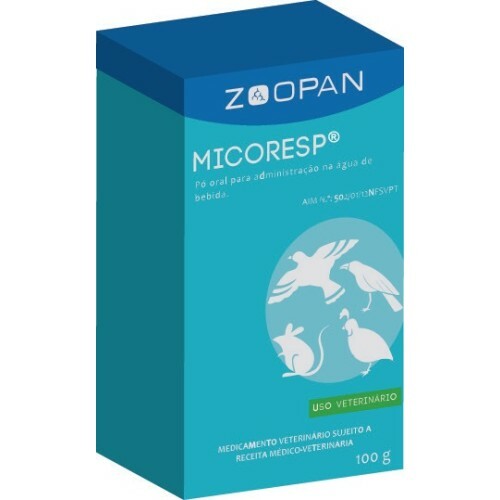 Micoresp 100gr by Zoopan is indicated for the prophylaxis and treatment of chronic respiratory disease (CRD) in especially of mycoplasmosis, infectious sinusitis, colibacillosis, fowl cholera, avian spirochetosis (Borrelia anserina) and infections caused by susceptible Chlamydia. - Infections of the respiratory system. - Treatment: 3-5 gr of product per liter of drinking water for 3-5 days.